Heyy buddy, are you looking for the information about SRK's new film Fan... Then Mr. / Ms. SRKian, here are all the updates of the movie FAN. Here you will be informed about the director, the banner, the actress opposite to SRK, release date, and slight info about the story line. Fan is an upcoming Bollywood drama film directed by Maneesh Sharma and featuring Shah Rukh Khan in the lead role. The film is produced by Aditya Chopra under the banner of Yash Raj Films. The make-up artist Greg Cannom has developed the look of Khan in the film. Principal photography of the film began in May 2014 in Delhi. Fan was scheduled to release in early 2015. But..
Bollywood Badshah Shah Rukh Khan's upcoming film Fan, which was earlier scheduled to release on August 14, will now reportedly hit the screens on Bakri Eid (23rd September). An insider as saying, "The film has still around 10 days shooting left to be completed before Shah Rukh moves on to his other projects. The post-production work will take some time longer, hence the decision". The 'Fan' team initially thought of releasing the film in September, on Bakri Eid. Then, there were talks of releasing the film around SRK's birthday (2 November). Now, SRK, producer Aditya Chopra, and director Maneesh Sharma have tentatively decided on a November-end release date," an authority source said. Shah Rukh’s Fan which seems to created a lot of curiosity amongst the masses! Considering young AbRam Khan's daddy will be seen in a completely different avatar, even we are eagerly looking forward to this one! 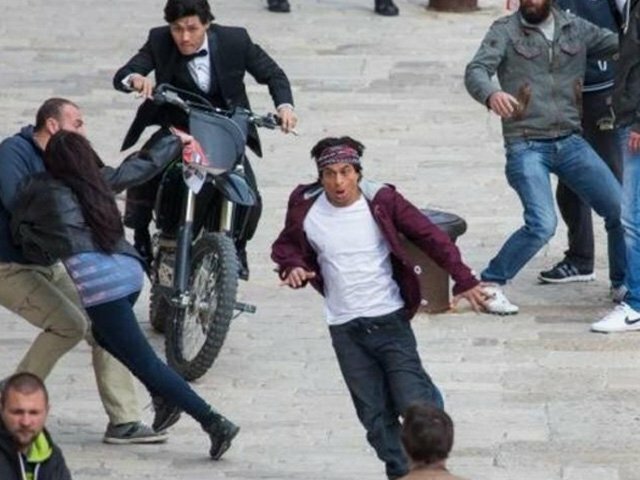 SRK HAS A DOUBLE ROLE IN THE FILM!! 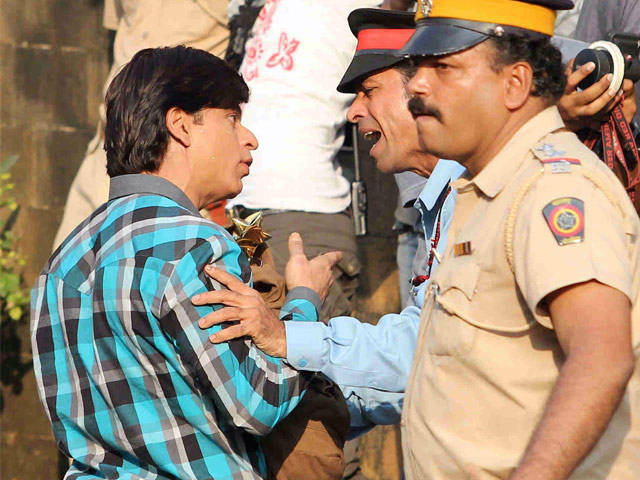 Superstar Shah Rukh Khan was spotted shooting for Maneesh Sharma's Fan in his hometown Delhi on March 4. All the shooting locations are inside India. SRK, who has a double role in the film, was spotted waving at his fans as he arrived to shoot for Fan in the suburb of Rohini. He will be seen playing the fan of a superstar in the film. And the number 17 where has this come from in one press con I did?! 17 stars In Rohit's film & I am 17 yrs old in Fan...both not true. Superstar Shah Rukh Khan will be seen playing the role of a superstar's fan in the film. SRK, who will be seen playing his own fan in Maneesh Sharma's Fan, has undergone a digital 3D face scanning in USA for his role. King Khan’s fans are to be fed with a double treat as the actor will be seen in a double role in the film. The movie is a story of a middle class man who looks like a superstar; both the characters will be played by SRK. Apparently, in order to make both the characters look as realistic as possible, a special VFX team has been appointed. Let's wait for the SRK's next big blockbuster... What do you think about this movie? Do leave a comment below. Stay connected to IndianCelebInfo.com for more updates.